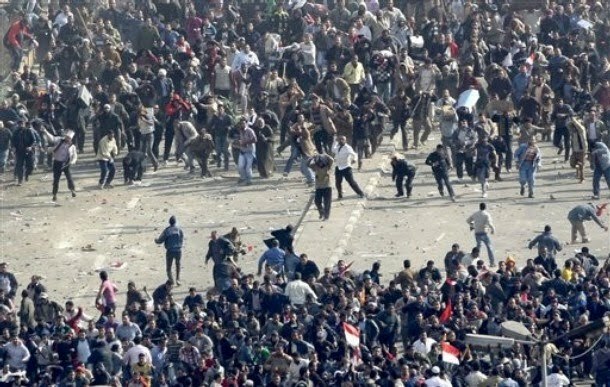 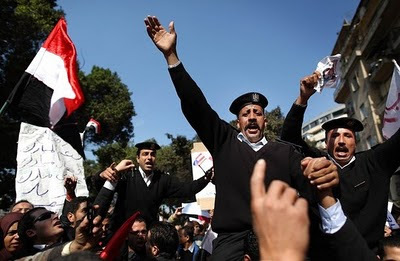 Clinging to power at any cost, with criminal disregard for human life, Hosni Mubarak dispatched armed gangs into the amassed peaceful pro-democracy crowds in Tahrir Square. 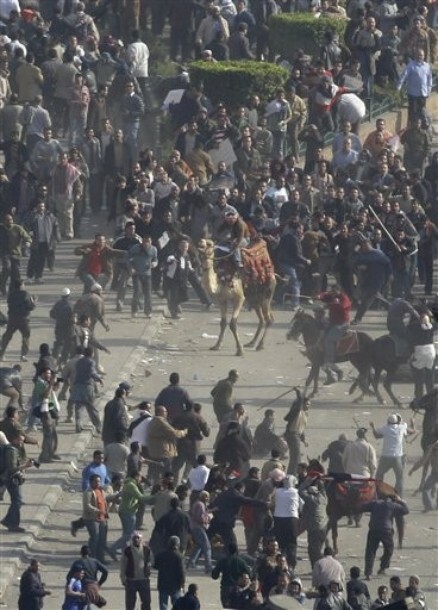 Plainclothes police and hired baltagiyya armed with whips and batons tore into the crowds on horseback, beating the demonstrators like savage marauders. 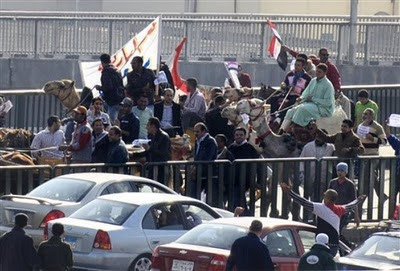 NDP members and public sector clerks marched in processions, including uniformed police officers, holding aloft Egyptian flags and photos of Mubarak to perform support for him. This is what Mubarak meant in his speech yesterday, that "everyone must choose between chaos and order," between his rule and his violence.